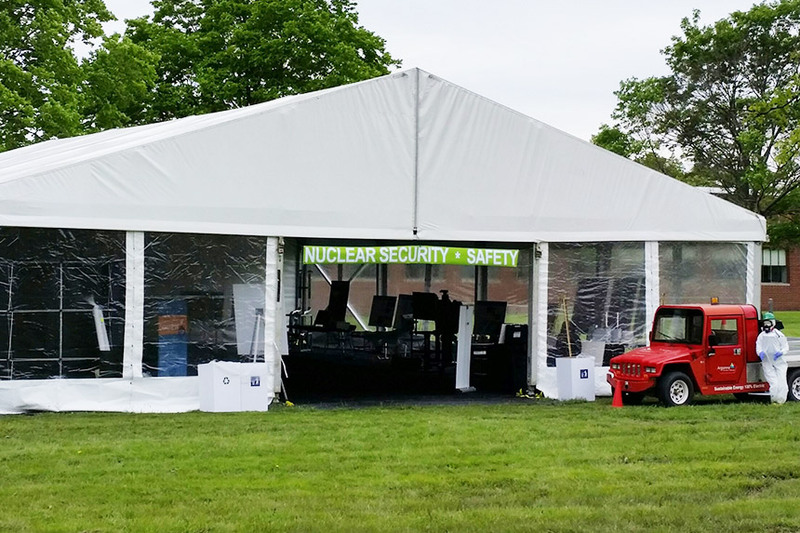 Arena Americas supplied numerous tents, clearspan structures, flooring, turf, tables, linens, chairs, fence and other rental equipment for Argonne National Laboratory’s Open House in Lemont, IL. 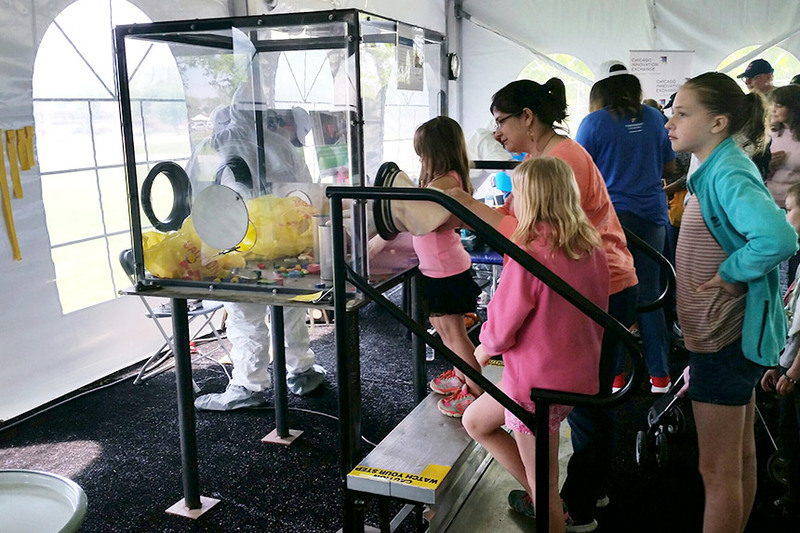 The Open House was free to the public and featured interactive demonstrations, exhibits and tours of the cutting-edge research facilities at Argonne. It was a great opportunity for the community to learn more about the work the Argonne staff and visiting researchers do to tackle some of the greatest global challenges in science, environmental sustainability, national security, supercomputing, clean energy, advanced batteries and transportation. 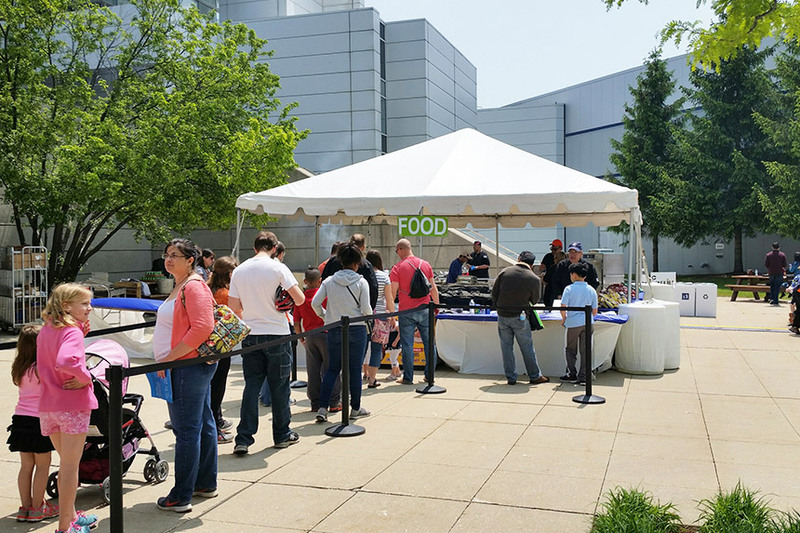 Arena supplied 26,000 square feet of tenting, 16,800 square feet of flooring, 180 tables and 280 chairs that were used for displays, food and refreshments, seating areas, information and more during the one day event. 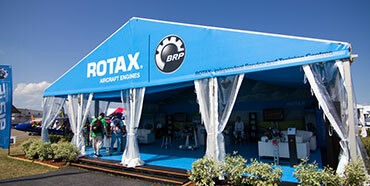 Arena Americas specializes in providing a full line of event rental products and services, including tents, clearspan structures, lighting, flooring, staging, tables, chairs, linen, china, flatware, glassware, food service and catering equipment.